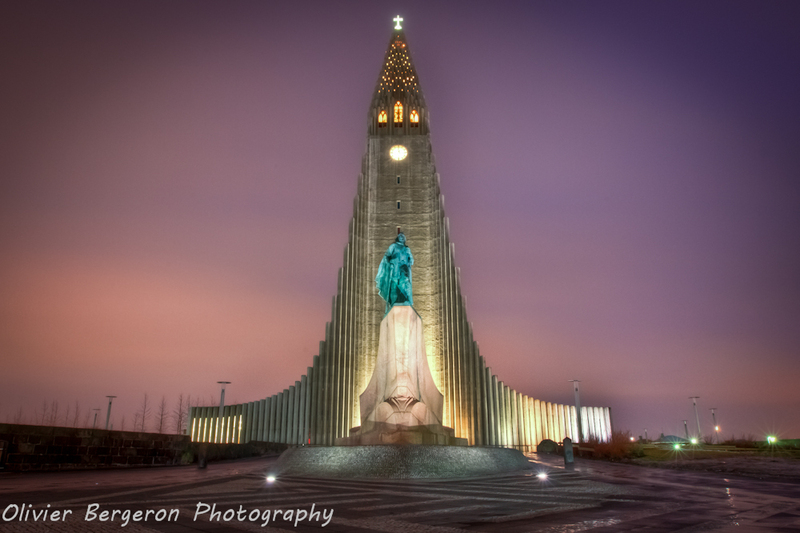 Hallgrimskirkja church in downtown of reykjavik has a quite impressive shape !! . She has not only a shape of rocket pointing to the sky but also her beton wall has shape of basaltic organ you can see in place like Svartifoss in south of iceland or Aldeyrjarfoss not far from Akureyri.